Sales people bring pressure on product managers to develop specific features sought by big accounts. 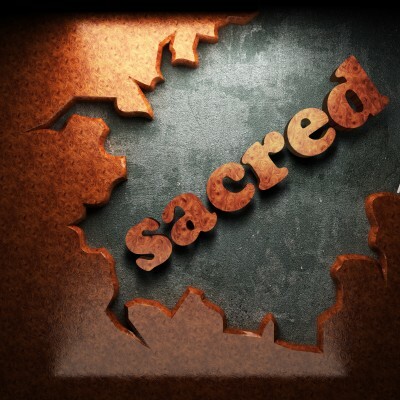 Often the product development team treats these features as “sacred” text, not to be independently evaluated. R&D likes the clarity of sacred text and plunges in to solve the technical problems. Marketing likes an addition to revenue growth without spending time to sort out and set priorities on customers’ needs. What nobody likes, especially the CEO, is that after using up R&D and marketing assets to develop sacred text features, the customer doesn’t buy the new product at all or buys at money-losing, low volumes. The information the product manager needs to avoid product failure is available before starting development. It’s gained by eliciting information from primary sources to interpret the market dynamics surrounding the customer’s sacred text and how the eventual end-users view these features. It’s not productive to ask sales people to do this homework. Sales people are experts at influencing how customers decides to buy, that’s how they take deals away from competitors. “Why” questions and talking to end-users by the sales team doesn’t improve the hard-won bonding they’ve built with big accounts. One quick method to do the homework to confirm or disprove the sacred text is through elicitation conversations. The product manager or an objective third-party has these conversations with multiple sources within the customer’s company and with end-users. In a project for a client, the client was on their third try to satisfy the sacred text given to them by a major customer. The sales people at the client wanted to satisfy this request because the customer bought large volumes of the client’s major products. The client’s technical people intrigued with the technical problem felt that their third try at a solution would be the charm. When the third try appeared unsatisfactory, elicitation conversations began with individuals randomly sampled throughout the industry’s value chain. (See Rule of 40) Surprisingly none of the eventual end-users of the customer’s proposed product wanted the sacred text improvement. I discovered in one conversation the person I was talking with was the gatekeeper, the client’s contact at their major customer. Not knowing my connection to the client, he championed the sacred text and said the end-users were wrong. After interviewing other individuals in the gatekeeper’s company the context became clear. The gatekeeper, despite his lofty title, no longer had any internal influence and his “desk was moving closer to the exit door.” Learning this, the client politely stopped two years of development efforts to fulfill the gatekeeper’s sacred text. In another project , the client was trying to increase revenue in a market along their main market. This was the third time they tried to do so with a sacred text. The intent was to extend by months the lifetime in use by end-users of a product incorporating the client’s additive. There were seven additive suppliers competing in this market. The client felt they were number six from the top in sales. They also felt their technical skill would move them up if they could convince customers to substitute their new product for current offerings. Early on in Rule of 40 elicitation conversations across the value chain the same consistent answer came back. But, three other observations emerged. Eventual end-users applied the client’s customers’ products daily and longer lifetimes were not necessary. There was a strong latent need by the eventual end-users for a previously unarticulated technical feature. The client developed a new product meeting this latent technical need at a cost increase of 1%. This new product was launched with a price increase of 5%. In five years the client was number two in revenue of the seven suppliers to this market and closing in fast on number one. Since 1985 I have elicited latent needs and discovered valid growth opportunities for clients in specialty products markets. Call me at 203/323-4075 or 203/323-5778 to start a conversation about confirming or disproving the sacred text in customers’ expressed needs.